When you make the big decisions in life it's important to remember who you are. Don't get caught up in passing trends or living your life as if it were somehow better because of its similarity to another. Embracing what's in your soul lets out a light that can spread to everyone around you. 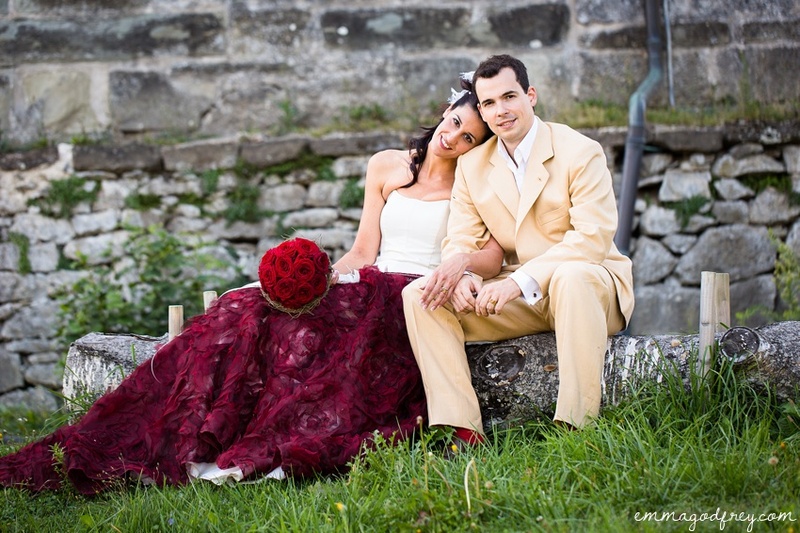 A few weeks ago I was lucky enough to share in that special joyous light courtesy of Francesca and Ivan. 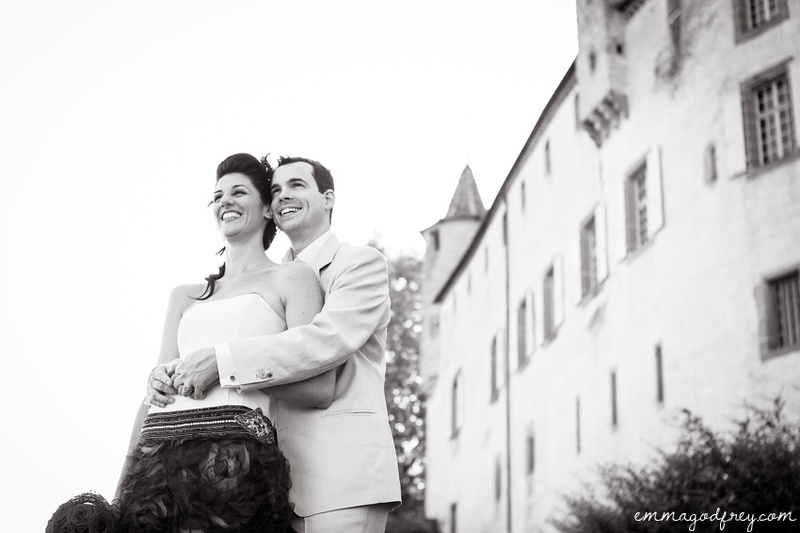 They married in the stunning Chateau d'Oron, on the border of Vaud and Fribourg. 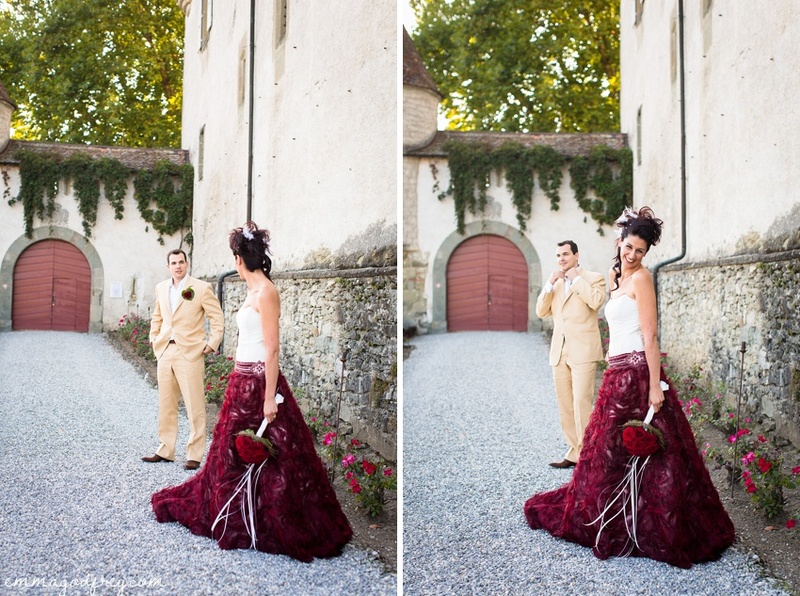 From the moment I first met the best man, I knew that this was going to be a wedding of true individuals, and Francesca in her beautiful gown covered in red roses, did not disappoint. 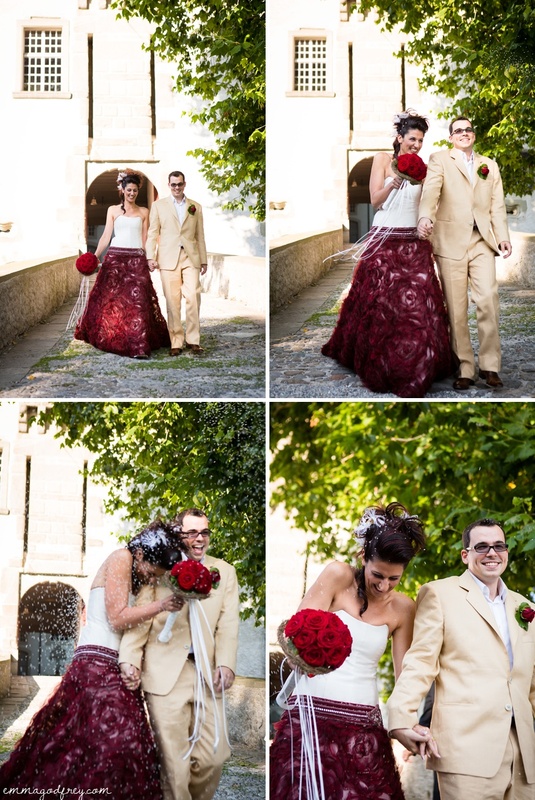 She grooved down the aisle with her bridesmaid, only just upstaging the groom and best man! 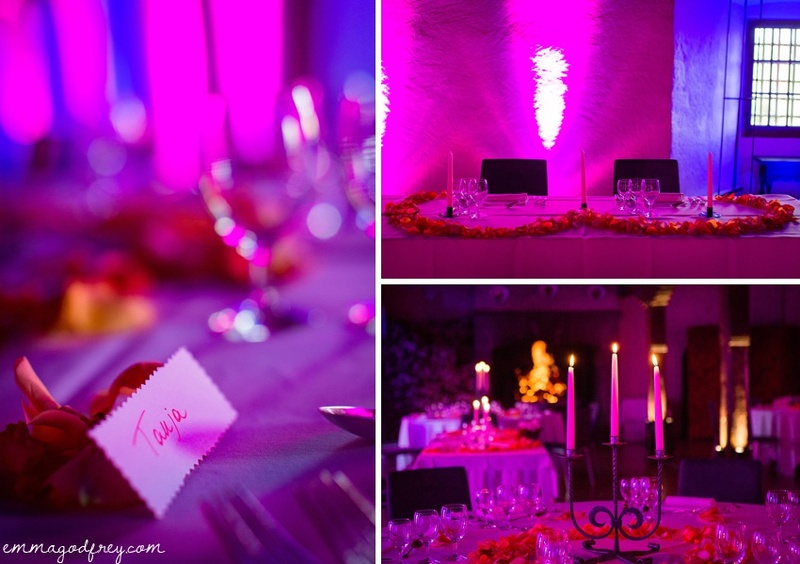 At dinner the atmosphere of two families coming together was set off by a roaring fire and sumptuous lighting. True to the last, Francesca and Ivan gave us a great show for their first dance. Francesca and Ivan, I left you dancing the night away, may you always be safe in each others' arms. If you attended Francesca and Ivan's wedding and would like to see more images, please contact either me or the new Mr & Mrs Melia for the links.